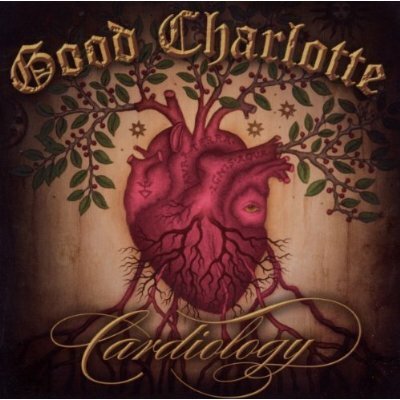 Good Charlotte’s latest CD, Cardiology is totally enjoyable. After the brief instrumental “Introduction to Cardiology,” “Let the Music Play” and “Counting the Days” establish the bouncing and actually inspiring rhythms and lyrics on Cardiology. “Silver Screen Romance” is accessible, and then two of my favorite songs off the album come on, “Like It’s Her Birthday” and “Last Night”. I’ve had a problem with this CD – I haven’t stopped listening to these two songs, often. Other tracks, “Alive,” “Harlow’s Song (Can’t Dream Without You),” stand out. Benji Madden carries nearly all songwriting credits on Cardiology, and he’s displaying serious and creative juice. The band has made a CD that’s positive, forceful and damn fun. Every song on here is honest rock celebrating life and love. And they do this without being maudlin. It’s all sincere. Written by: Dagmar on 03/16/2011. This entry was tagged benji madden, cardiology, good charlotte, posted by dagmar. Bookmark the permalink.